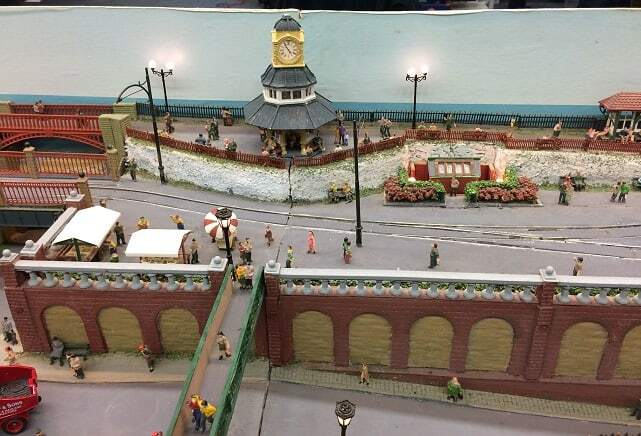 A fantasy Thanet in miniature was on show this month as part of The Isle of Thanet Model Railway Society exhibition at St George’s school in Broadstairs. 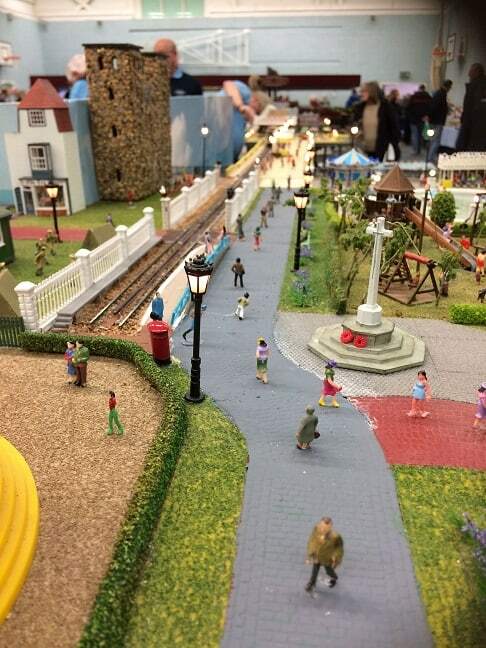 The 20ft Broadgate layout includes features from Margate, Broadstairs and Ramsgate including Margate clock tower, a bandstand, prom and pier. There was even homage to the old Ramsgate seafront railway and a working tram. 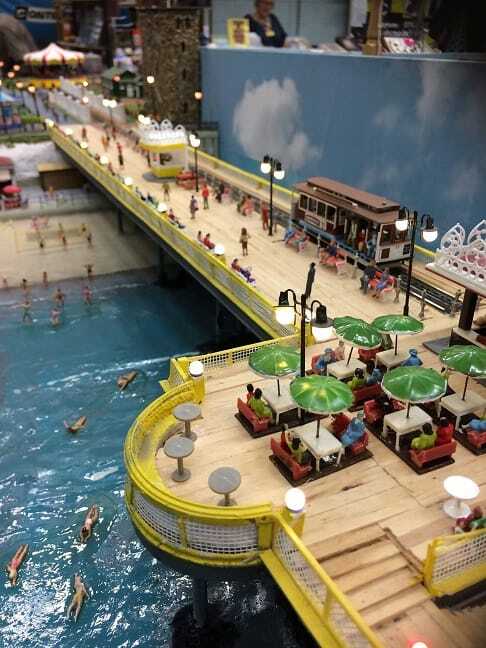 The creation was the work of model railway enthusiast John Hose and his son Ben and took some eight years to put together. 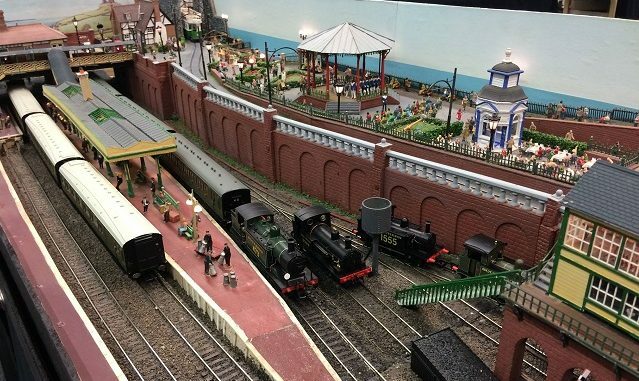 John said: “The layout is “L” shaped, 20ft 6in long and 2ft wide, plus a short right angle 6ft 6in deep on the right hand end, which has been built in stages over about the last eight years and exhibited for five years since starting at Broadstairs in 2013. “The inspiration for the layout goes back many years. I first came to Broadstairs as a child in the days of “ Uncle Mac” before the war. (I am 85 now). I introduced my wife to Broadstairs by bringing her there on our honeymoon, and we have both developed a liking for the place ever since. Exhibition visitor John Horton caught the layout on camera. He said: “If I had to pick the most interesting bits I’d say the tram coming under the archway, which looked like the arch at Broadstairs harbour, the seafront scene with Broadstairs clock tower; the pier section with a working tram and Margate clock tower incorporated into the scene. John Hose , You,ve made a fantastic layout , well done , its brilliant !